Decorated Sugar Cookies — What the Fruitcake?! Yes, I'd volunteered a while ago and chose to host September. It was all very exciting to start with, and then I found myself in a dilemma. What on earth was I going choose as the challenge recipe?!?! I honestly didn't think it would be so difficult to come up with something. After a lot of back and forth with Lis and Ivonne, I finally settled on something that I had never done before but had long admired. Decorated Sugar Cookies, and I’m not talking random squiggles and dots, I’m talking about beautifully decorated cookies that are perfect to give as a gift or to make for party or wedding favours. What I love about these cookies is that the sugar cookie recipe is really basic and you’d probably have all of the ingredients in your kitchen already. What makes them so impressive is that just the use of a little bit of imagination, these simple sugar cookies are made gorgeous enough to give away or to make for birthdays, bridal or baby showers, wedding favours, at Christmas or Valentines. Definitely something to keep in the file for any event you can think of. I chose to use Peggy Porschen’s recipe for the challenge recipe. Sugar cookie recipes commonly have either baking powder or bicarb of soda, but this recipe is a little different in that it doesn’t use a raising agent which makes them great so if you’re using intricate cookie cutters, they hold their shape while baking. Perfect for decorating with royal icing! I set a theme for the challenge, and the theme was “September”. For others, it may be back to school; the start of Spring or Autumn/Fall depending where they are in the world; September could also be someone special’s birthday or even the beginning of a favourite sporting season. Whatever was happening in the lives of the fantastic DBers, that's what I wanted the cookies to be about. And I'm telling you, I wasn't disappointed at all. They all jumped into the challenge with lots of enthusiasm and really made some fantastic cookies. DBers, thank you so much for taking part of this challenge, I thoroughly enjoyed hosting it and am so impressed with all of the stunning decorated cookies that were made! Get out your rolling pins and I hope you enjoy it! • Cream together the butter, sugar and any flavourings you’re using. Beat until just becoming creamy in texture. • If you’re doing a different colour border, eg a black border, let the outline dry before flooding. If using the same colour for the outline as you’re flooding with, begin flooding after doing the outline. 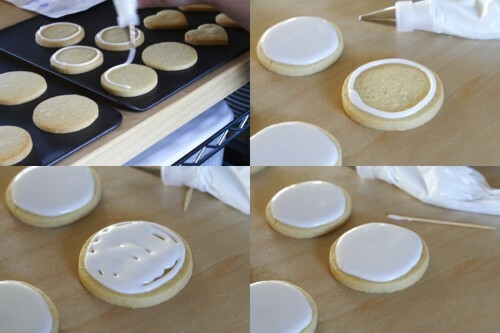 • If you would like to add lines or dots to the base colour that you flooded the cookie with so that they meld and dry as a smooth surface, you need to add the lines/dots/patterns as quickly as possible after flooding and smoothing the surface of the cookie. • Simply pipe other colours onto the flooded surface in patterns or lines which you can either leave as that or then drag a toothpick through to make marbling patterns. • When measuring by volume (cup) always shift/aerate your flour/icing sugar in the container/bag before measuring because it settles as it sits and so you end up with more flour/icing sugar in your cup. I do this by moving the ingredient around with a spoon, whisk or fork. • When measuring flour or icing sugar by volume (cup) never scoop the flour/icing sugar up with the cup otherwise you compress the contents and this can make a big difference in the amount you’re using. Rather, spoon the ingredient into the cup until level with the top. • When measuring baking powder or baking soda, always level off the top of the measuring spoon with something flat (like the back of a knife) as these ingredients need to be accurately measured. • When mixing your ingredients, always follow the recipe instructions, especially when it comes to beating in eggs and flour, so if it specifies to mix until just combined or to beat for 4 minutes, follow the instructions to get best results. • Unless otherwise specified, always have your ingredients at room temperature. • It’s always best to invest in an oven thermometer so that you know exactly the temperature you’re baking at then you can also find out if you have cold or hot spots in your oven. • If you need to rotate your trays midst baking, always allow at least half the baking time to lapse before opening your oven to move baking trays around, this allows time for your baked goods to form a good structure so that they won’t flop. I also want to mention the one site that I referenced the most when putting this challenge together. Not only is she absolutely incredible with decorating cookies, she's also put together really fantastic tutorials. 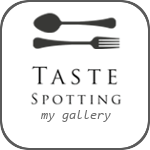 I really do recommend visiting Sweetopia! 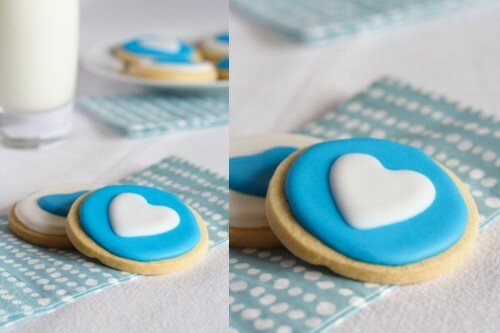 Posted on September 26, 2010 by Mandy Mortimer and filed under Baked, Daring Bakers, Sweet and tagged Cookies Daring Baker Decorated Royal Icing Sugar Cookies.